With its sturdy construction and timeless style, this table is built to last – through house moves, growing kids, home makeovers and more. Constructed from solid pine wood for extra durability – the expert craftsmanship and build quality has made this a best seller in the UK market. A protective hand waxed finish brings out the wood's warm coloring and rich grain. Traditional black effect handles give it a touch of rustic charm. The clean lines are complemented by discrete and decorative black metal studs. 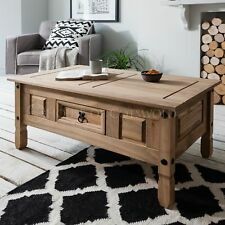 The House of Cotswolds® coffee table will transform any room into a fantastic country style home, inspired by the rustic outdoor lifestyle. 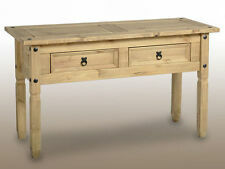 Hever Coffee Table in Pine & White. 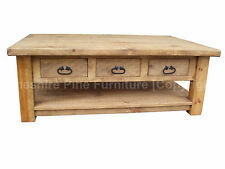 Coffee Table in Natural Pine & White. Assembly instructions and Fixings. 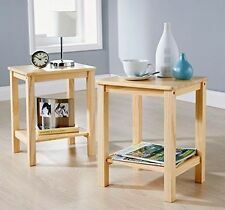 With their sturdy construction and timeless style, these gorgeous nesting tables are built to last – through house moves, growing kids, home makeovers and more. 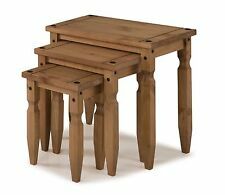 Constructed from solid pine wood for extra durability – the expert craftsmanship and build quality has made this a best seller in the UK market. A protective hand waxed finish brings out the wood's warm coloring and rich grain. The clean lines are complemented by discrete and decorative black metal studs. 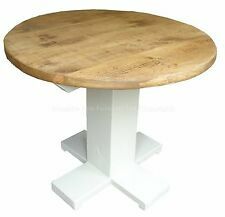 The House of Cotswolds® set of three nesting’s table will transform any room into a fantastic country style home, inspired by the rustic outdoor lifestyle. BENCH SEAT THICKNESS 18MM. 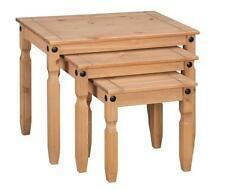 This versatile set turns the smallest space into a dining room. Two ethnic style benches slide neatly beneath the rectangular table when not in use. Instructions and fixing kits included. Birlea Furniture Corona 2 Drawer Console. Bedroom Living Room Beds Dining Room Any Room. 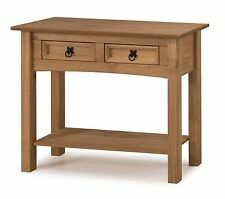 Impressive Solid Wood Hall Table. Assembly must not have been started. Here at Robinsons Furniture LTD, we are happy to help! HOMFA WHITE WOODEN COFFEE TABLE, ROUND STORAGE SERVING TRAY Description -- Three in one, to give you better experience Suitable for serving: You can use the top plate for servicing if you suddenly find no serving plates. The anti-slip bar prevents falling down. As storage space: Under the lid, there is a jam 38x18cm, so you can put sweets, knitting or other objects. 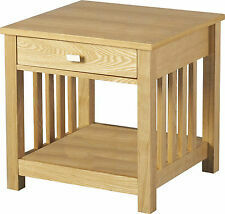 Adjustable as a decorative table: the side table is very trendy. White, elegant, beautiful, modern, the coffee table can perfectly meet your need for beauty, color or shape. There is no other classic design, simple shape and white color, so no limitation on the style. Has a long draw that spans depth of coffee table. Would have originally been a farmhouse kitchen table, turned into a coffee table. 103cm wide. 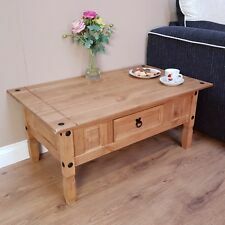 rustic coffee table with small draw. Solid pine L x 91cm, W x 56cm, H x 47cm. Condition is Used. Collection in person only. OLd Pine Corner Table, Hall. Condition is Used. Could do with a wax there is a light cup mark which would no doubt come out with light sand! Also although you would not know it there is a little split in wood at front it is only because I know it is there I’m pointing it out Size approx 72 cams high table top but back plinth is 80cms high. 45 cams depth each side . If I measure from front across approx 25” corner to corner.